At our London HQ the small object was 3D scanned on the turntable, with a few 3D scanning targets (little round dots) added - they help the 3D scanner track the object. The top of the head was flat so it meant we didn't need to 3D scan the top, and because the product was to have a consistent shell thickness it was simpler (and more cost effective) to add the wall thickness to the 3D scan in the 3D design and cleanup phase. How Well Did The 3D Scanning Work? The exterior 3D scanned very well, just a little cleanup around the eye area. 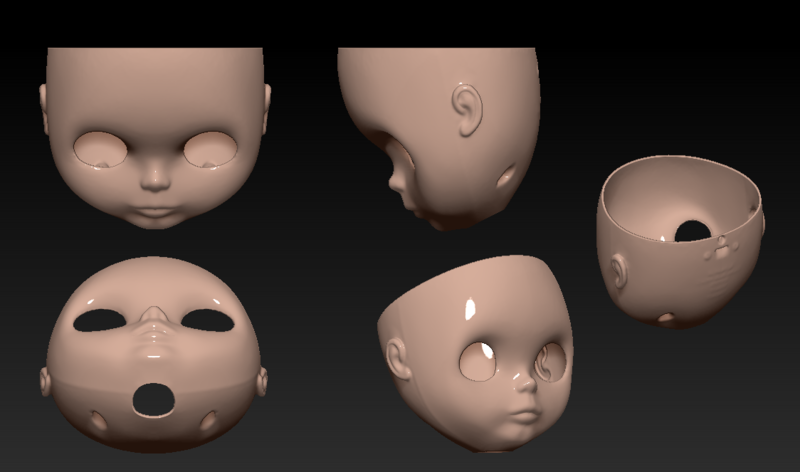 It was then exported to ZBrush to add wall thickness. Capturing so many points with high accuracy means the integrity of the original object is maintained with little or no discernible loss. 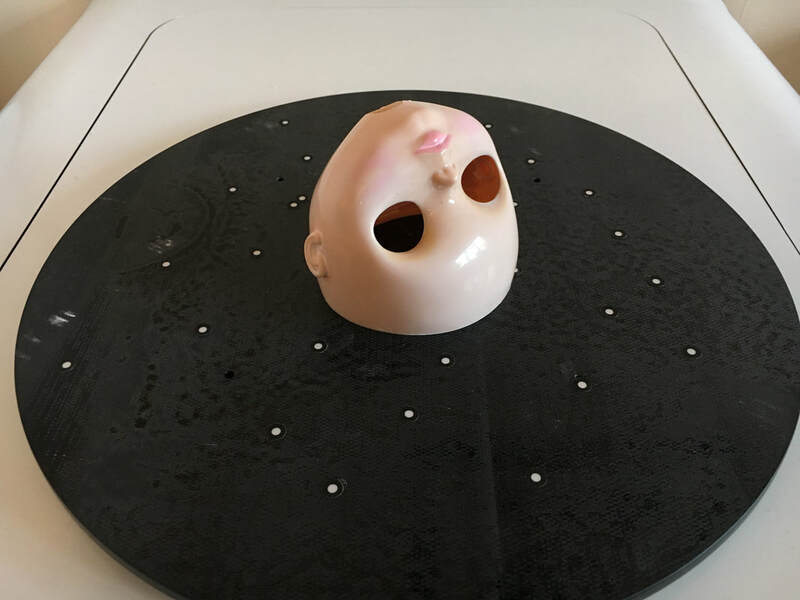 The dolls head is a great example of how in a short amount of time the customer can receive an extremely accurate reproduction of a complex part. Trying to replicate parts like this with calipers and measuring devices, and building in CAD from scratch would be horribly costly and inaccurate, which is why we love to help our customers with this type of 3D scanning project! Adding a wall thickness was quite simple during the design phase and at the same time we mirrored the face for the client. Then it was ready for converting to NURBS. The final 3D scanned mesh file was converted to a NURBS surface so it could be imported into CAD and further developed as required.